Criminal trespassing charges can arise under the most innocuous of circumstances. For example, you might have failed to leave a bar in a timely fashion after being asked to go. Or perhaps you didn’t notice a “no trespassing” sign on a property. Unfortunately, the circumstances of your violation of the law might not matter to the arresting officer. Trespassing is taken very seriously by law enforcement and prosecutors in Essex County, NJ, because it is considered a serious invasion of privacy. Like other property crimes, trespassing can be classified as either a disorderly persons offense or an indictable, felony-level offense. 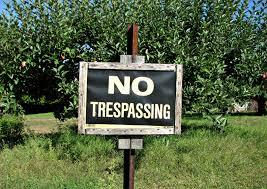 Moreover, trespassing is often accompanied by other criminal charges such as burglary and criminal mischief. This means that you could be looking at significant prison time if you are convicted of criminal trespassing in New Jersey. The Tormey Law Firm is a criminal defense team with extensive experience defending clients against trespassing charges in Millburn, Montclair, Irvington, Bloomfield, West Orange, and throughout Essex County, New Jersey. Travis J. Tormey, the firm’s founding partner, previous served with the United States Attorney’s Office on several high-profile task forces and crime units. Our experience as both prosecutors and defense attorneys give us a major advantage when it comes to getting your trespassing charges downgraded or dismissed. If you have been arrested for criminal trespass in Essex County, New Jersey, the skilled criminal defense lawyers at The Tormey Law Firm are prepared to do whatever it takes to beat your trespassing charges. Call us 24 hours a dy at 201-654-3464 to discuss your case with one of our experienced Newark criminal defense attorneys. Unlicensed Entry of Structures: It is against the law for a person to enter or surreptitiously remain in a structure when the person knows that they are not licensed to do so. If the structure is a school, a dwelling, or a research facility, the offense is classified as a fourth degree felony. In all other instances, the offense is classified as a disorderly persons offense. Defiant Trespass: It is against the law for a person to enter or remain in a place when the person has been given notice against trespass. The notice can come in form of a verbal communication, a posting or sign on the premises, or fencing which is designed to exclude intruders. Defiant trespassing is classified as a petty disorderly persons offense. Peering into Windows: “Peeping Tom” offenses typically occur when a person peers into a window for the purpose of invading another person’s privacy. Unlawful peering is classified as a fourth degree felony. Defiant Trespass: Since defiant trespassing is classified as a petty disorderly persons offense, offenders are subject to a sentence of up to 30 days in the local county jail. Criminal Trespass – Fourth Degree Felony: If the unlicensed entry occurred on school property, a dwelling, or a research facility, the offender is subject to a sentence of up to 18 months in NJ State Prison. Criminal Trespass – Disorderly Persons Offense: All other forms of criminal trespass are classified as disorderly persons offenses. This means that offenders are subject to a sentence of up to 6 months in the local county jail. Peeping Tom Offense: Unlawful peering into windows is classified as a fourth degree felony. 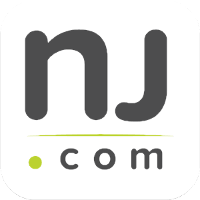 Offenders are subject to a sentence of up to 18 months in NJ State Prison. If you or someone you love has been charged with a trespass offense in Newark or Essex County, New Jersey, the skilled attorneys at the Tormey Law Firm know what it takes to win in the courtroom and fight trespassing charges. We can help keep you out of jail and help you avoid a criminal conviction on your permanent record. Call us today at 201-654-3464, or email us to schedule a meeting at our office in Newark, NJ.